Join us at the all day (09:00 to 17:00) CentOS Dojo on Monday, November 10th, 2014 at the LISA14 conference in Seattle, Washington. There will be at least three CentOS board members there (Johnny Hughes, Jim Perrin, and Karsten Wade). 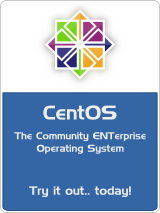 Visit the CentOS Wiki for more information. CentOS 6.6 is now released, see the Announcement. So, the Continuous Release RPMs where released on 21 October (7 days after RHEL 6.6) and the Full Release was done 28 October (14 days after RHEL 6.6). The CentOS team has released the Continuous Release (CR) Repository RPMs for CentOS-6.6 into their 6.5/cr tree. See the Release Announcement. Now a little more about the release process. Red Hat releases a version of Red Hat Enterprise Linux. In this case the version is Red Hat Enterprise Linux 6.6 (RHEL-6.6), which was released on October 14th, 2014. With that release by Red Hat comes the source code which RHEL 6.6 is based on. The CentOS team takes that released source code and starts building it for their CentOS release (in this case CentOS-6.6). This process can not start until the Source Code from Red Hat is available, which in this case was October 14th. At some point, all the Source Code has been built and there are RPMs available, this is normally 1-5 days depending on how many Source RPMs there are to build and how many times the order needs to be changed to get the builds done correctly. After the CentOS team thinks they have a good set of binary RPMs built, they submit them to the QA team (a team of volunteers who do QA for the releases). This QA process includes the t_functional suite and several knowledgeable system administrators downloading and running tests on the RPMs to validate updating with them works as planned. At this point there are tested RPMs ready, and the CentOS team needs to build an installer tree. This means, take the new RPMs and move them into place in the main tree, remove the older ones RPMs they are replacing, run the build installer to create an installable tree, test that installable tree. This process can take up to 7 days. Once there is an installable tree, all the ISOs have to be created and tested. We have to create the ISOs, upload them to the QA process, test them for installs via ISOs (correct sizes, how to split the ISOs, what is on the Live CDs and LiveDVDs to keep them below the max size to fit on media, etc.). We then also test the installs for UEFI installs, Secure Boot installs (CentOS-7 only), coping to USB Keys and checking the installs that way, etc. This process can also take up to 7 days. So, in the process above, we can have vetted binary RPMs ready to go as soon as 5 days after we start, but it may be 14 or more days after that before we have a complete set of ISOs to do a full release. Thus the reason for the CR Repository. The process of building and testing an install tree, then creating and testing several types of ISO sets from that install tree (DVD Installer, Minimum Install ISO, LiveCD, LiveDVD, etc) can take 1-2 weeks after all the RPMs are built and have gone through initial QA testing. The purpose of the CR repository is to provide quicker access to RPMs for an upcoming CentOS point release while further QA testing is ongoing and the ISO installers are being built and tested. CentOS-6.6 Release Notes (Still in progress until the actual CentOS-6.6 release). Upstream RHEL-6.6 Release Notes and Technical Notes. There are other stories, but those articles cover the main issue. If you are using Xen4CentOS on CentOS-6, please use yum update to get these security updates ... and like Rackspace and Amazon EC2, you need to reboot your dom0 machine after the updates are applied.